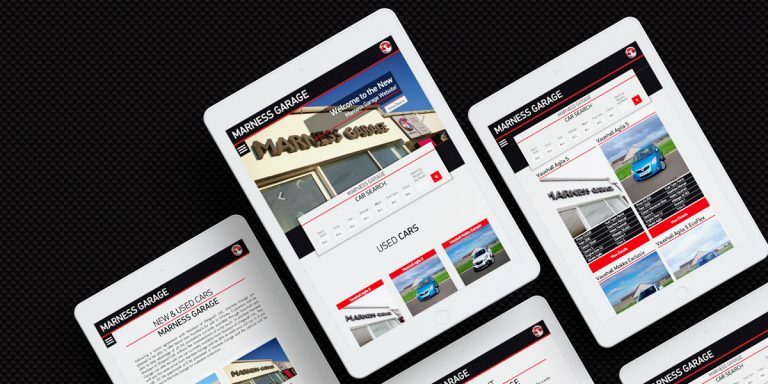 Marness Garage approached us to build them a new website that would promote their services and be a place to showcase their range of cars for sale. Having never had a website before, it was a new experience for them, and a big step into the World… Wide Web. We needed to give them a website to match their striking showroom interior, which would also have the functionality for potential customers to browse their list of motors with ease. The final product is a modern and clean website that has got Marness Garage onto the web.